Indoor heated swimming pool and hot tub. One and a half acre well stocked coarse fishing lake. Carp up to 20lb. 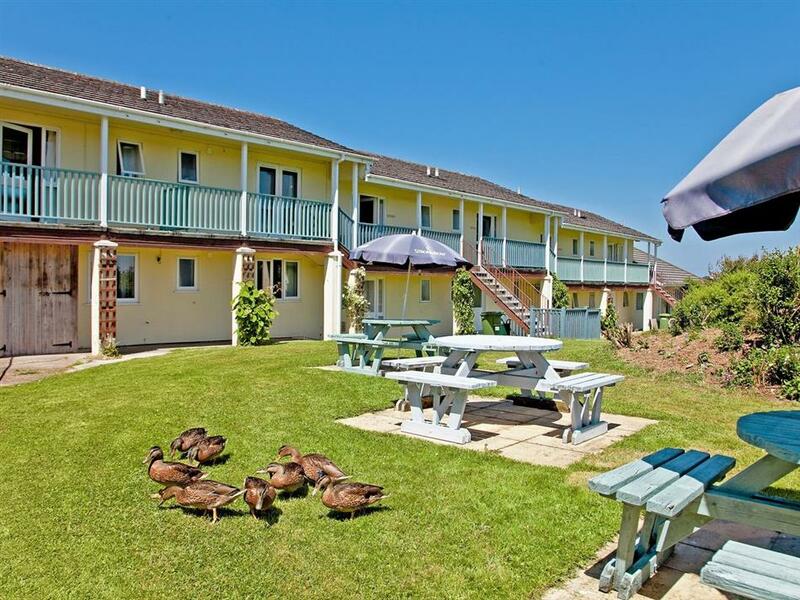 This small family-run complex of 17 properties is situated in the beautiful North Devon countryside. 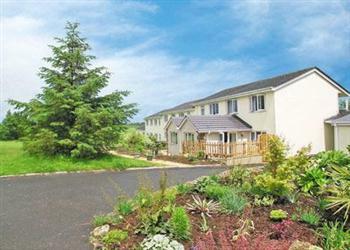 The apartments are located on a well-equipped complex close to the Hartland Peninsula. The complex has a wide range of on-site activities including a heated indoor swimming pool (open all year) and hot tub area, a well-equipped gym and games room. Outside there is a well-stocked fishing lake, with some carp weighing as much as 20lb, in stunning surroundings and a pitch and putt course which takes you around the complex’s 10-acre site. In the evening there is a fully licensed bar and restaurant to enjoy and give a relaxing end to the day with family and friends. This stunning location is perfect to explore the dramatic North Cornwall and Devon coastline. The pretty town of Bideford, a short journey away, has a good range of facilities and a trip to Lundy Island can be organised from the quayside. Westward Ho! has a long stretch of sand and good surf. The wild beauty of Dartmoor, Exmoor and Bodmin Moors are a must for walkers and both walkers and cyclists will enjoy the nearby Tarka Trail. There are numerous National Trust properties in the area, as well as the RHS gardens at Rosemoor and Docton Mill. Hidden treasures such as Hartland Abbey and Bucks Mill are close by and Clovelly, with its quaint cobbled streets and picturesque harbour, is a must. The popular Cornish resort of Bude has fantastic beaches renowned for excellent surfing whilst the vibrant town centre has a vast array of good restaurants and bars. Tennis, horse riding, mountain boarding and surfing are all on offer locally and for family fun the Big Sheep and Milky Way adventure parks are close by or for a great day out the famous Eden Project is an easy drive. Shop 1 mile. NB: Refs B4367 [Bramling], B4368 [Chaffinch], B4369 [Goldfinch], B5379 [Willow], B5380 [Sycamore], B5381 [Hawthorn], B6129, B6130 [Greenfinch], B6131 [Chestnut], B6133 [Bullfinch], B6134 [Hawfinch], B6135 [Primrose], B6849, B6850, B6865, B6866, B6869, can be booked together to accommodate larger parties. All properties: Elec and bed linen included.Towel hire. Freeview TV. DVD. Microwave. Coin-operated laundry room on site. Wi-Fi (in small room in main building). Payphone (in reception). Shared 10-acres of natural, landscaped grounds. Ample parking. Indoor heated swimming pool, open 8am-10.30pm, all year. Hot tub. Games room with pool table, children’s table tennis table, dart board and separate snooker room. NB: Lake and pond in grounds. External open tread stairs to entrance. All on first floor: Living/dining room/kitchen. 2 bedrooms: 1 double, 1 twin. Bathroom with toilet. Gas and electric heaters included. Travel cot and high-chair on request. Gas cooker. Balcony. Holidays at Holly, Moorhead Farm run from Friday to Friday. For a better idea of where Holly is, you can see Holly on the map below. Holly is in Devon; should you be on the lookout for a special offer, you can find all the special offers in Devon. It's always worth checking to see what is on offer at the moment. Do you want to holiday near Holly (B6129), you can see other cottages within 25 miles of Holly; have a look to find your perfect holiday location.